“DNS_Probe_Finished_Bad_Config”; do you see this error often? If you are an active user of Google Chrome Web Browser, it is possible that you must have come across a Domain Name System (DNS) error at some point in time. In simple language, the DNS errors are some bugs in the browser which prevent the access to a specific web address. The DNS errors occur when a web address which you are looking for is unreachable. In this article, we have discussed the various methods to fix the dns_probe_finished_bad_config error. It is usually seen in Chrome, but other browsers also have this issue, although with a slightly different error message. The general causes of the error mentioned above message are network issues, maybe minor or significant and some malicious files in the system. Every time we have a new error, we come up with various methods to get rid of them too. Those methods have been discussed further in this article. 1. At first, open Network and Sharing Center in the Control Panel. 2. 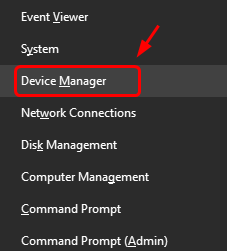 Then click on Change adapter settings. 3. 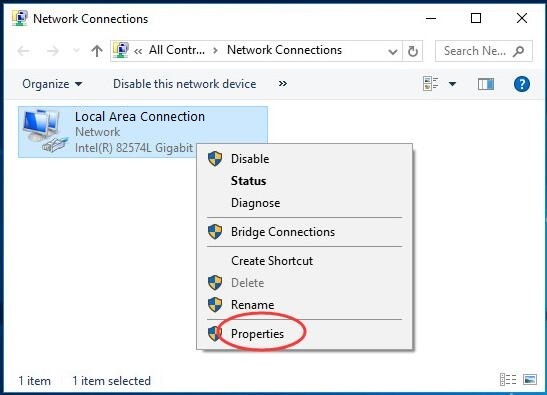 Select LAN and click on Properties tab. 4. 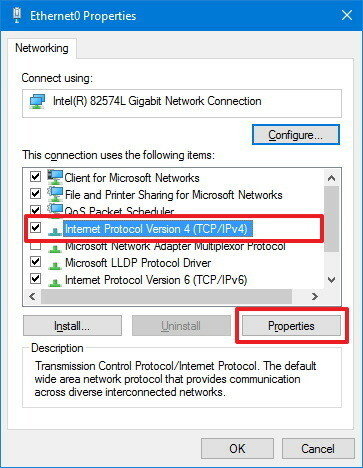 Select Internet Protocol Version 4 (TCP/IPv4) & click on Properties. 5. 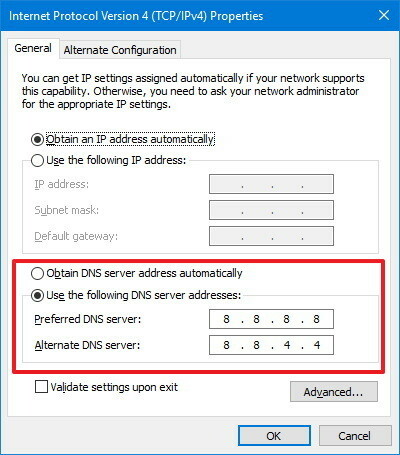 Select the Use the Following DNS Server Addresses option. 6. In the Preferred address bar, type 8.8.8.8. 7. In the Alternate address bar, type 8.8.4.4. 8. Select Validate settings upon exit and click on OK.
9. Finally, Restart the computer system. Also, check for any errors such as Unidentified Network No Internet Access in Windows. Once the DNS has been configured manually, the dns_probe_finished_bad_config error message would not pop on to your screen again. In case the issue has not been fixed, use the methods discussed below as one of them would work for you. 1. 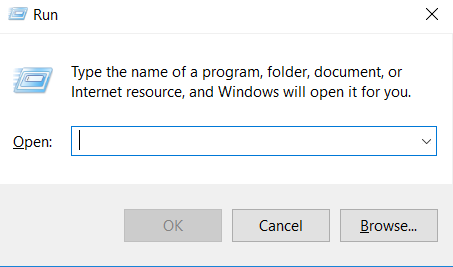 At first, click on Start button and then open the Run dialog box. 2. 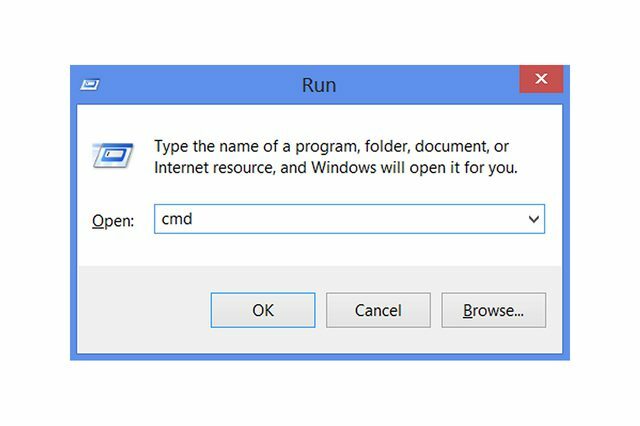 In the run command, type in “cmd” and press the enter key. 4. Finally, Restart the computer system and check if the issue has been resolved. It is possible that the dns_probe_finished_bad_config issue would have been resolved by the above method. If this has not happened yet, then try the methods discussed below and you will find a solution to the issue. 1. Press Ctrl+Shift+Del keys and check cookies and cache items. 2. 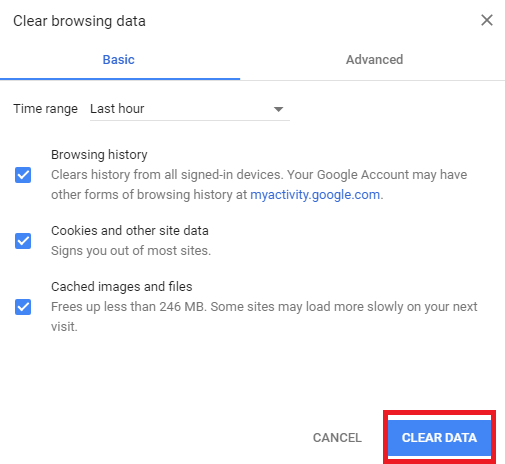 Click on Clear Data. Your cookies, cache and temporary files have gone now. Close and reopen the browser, and you should not face the issue anymore. But, we still have some more methods to discuss. 1. At First, press Windows Key+X. 3. Check for any updates for the drivers. If found, update the drivers. 4. Finally, Restart the system. Now, if the cause of the issue was an outdated driver in your system, the issue would have been fixed. But if that was not the case, then the methods discussed below might help you. Sometimes, the Windows security features such as the Firewall and Anti-virus software are behind such issues. They block the websites if they find it suspicious. So, the fix to this issue is to disable the firewall and Antivirus. But, this method involves a lot of risks as your system becomes vulnerable to attacks without firewall or Anti-Virus. Be careful what sites you visit while your Firewall is turned off. If this method fixes your dns_probe_finished_bad_config error, then you should try using a different Anti-Virus software so that your system is safe from attacks. 1. First, Click on the network icon on the taskbar. 2. 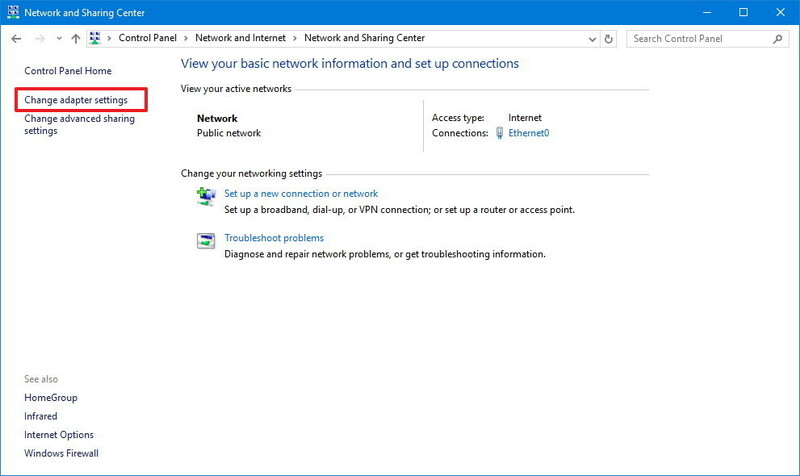 Select the network connected to and disconnect. Also, check for any Windows Error such DNS Server Not Responding. 3. Now, switch off the router and switch it on after a few minutes. 4. Finally, Now connect to the network. If there was an issue with the router, your problem would have fixed by now. If not, then you should try method 7. Sometimes, a web browser itself faces some issues in accessing some websites. Initially, check if you’re seeing Err_Network_Changed in Google Chrome (In most Cases). It is not only with you but with everyone using that browser. 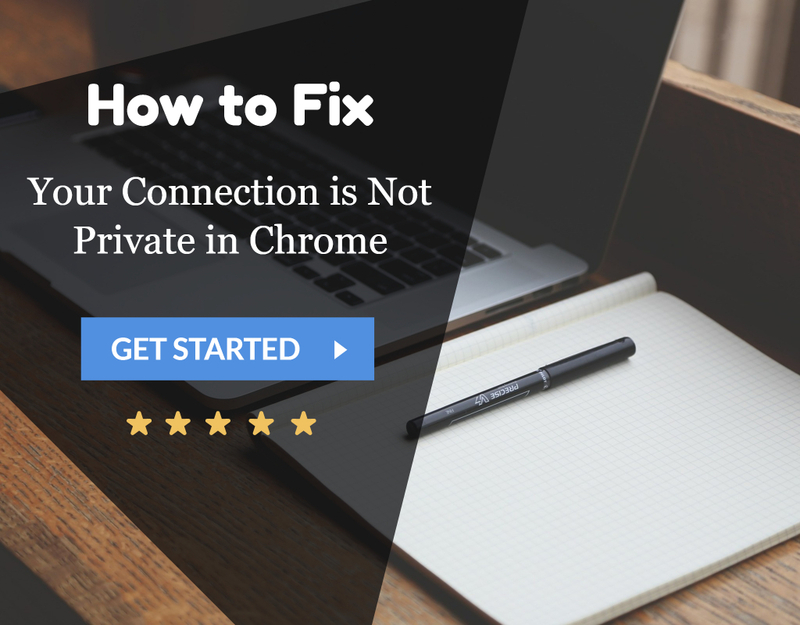 To check if you are a victim of a faulty browser, try accessing the web address using some other web browser. If the dns_probe_finished_bad_config error does not occur, discard your old browser until the new update. 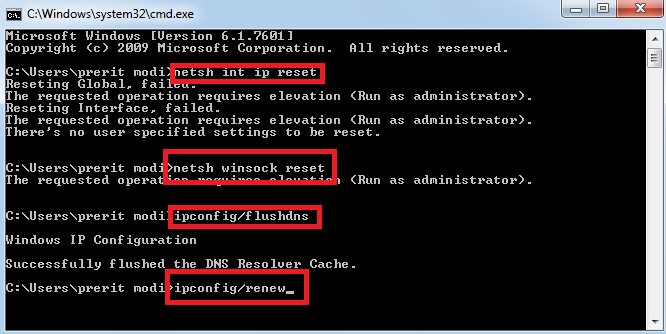 These were the methods which would help you to fix the dns_probe_finished_bad_config error in your system. One of them would have come out to be useful for you as well. 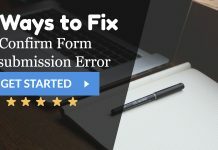 But whenever dealing with errors in the computer system, always keep your critical data backed up as it could lose even by a minor mistake.